The largest and fastest-growing segment of junior shooting today uses a class of target air rifles called “sporter air rifles.” Sporter air rifles now constitute a special class of junior shooting competition that offers excellent opportunities for new junior shooters. 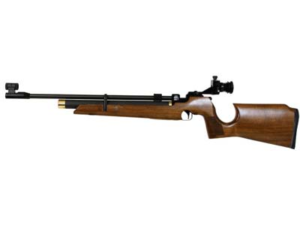 Sporter air rifles are characterized by their light weight (5-7 lbs. ), low cost (they vary from $180 to $600 in cost), basic target features (adjustable sights, adjustable length stocks, adjustable sling attachments) and suitable accuracy (rifles sold through this program must be capable of consistently shooting tens on the standard competition targets). Three-position air rifle shooting is promoted and governed by the National Three-Position Air Rifle Council whose members include The American Legion, Army Cadet Command (JROTC), Boy Scouts of America Venturing, Civilian Marksmanship Program, Daisy/U. S. Jaycee Shooter Education Program, Marine Corps Training and Education Command (MCJROTC), National 4-H Shooting Sports, National Guard Marksmanship Training Center, Naval Education and Training Command (NJROTC) and USA Shooting (Olympic shooting governing body). The NRA also independently promotes three-position air rifle competitions. One of two classes of competition offered in three-position air rifle programs is for sporter class rifles. Junior shooters can begin competing within their first year of shooting in competitions limited to sporter class air rifles. Most juniors in this class are newer shooters who benefit most by competing with other juniors at a similar level of development. Sporter competitions range from local tournaments to national championships sponsored by USA Shooting (Junior Olympic National Championship), The American Legion, Daisy and the National Guard Marksmanship Training Center. The major advantages of sporter air rifles are their affordable price and the fact that expensive target shooting clothing or other equipment is not required or even permitted. New youth shooting groups can readily afford to participate in sporter class competitions. In addition, many parents of youth interested in target shooting are willing to spend $175 to $600 to purchase sporter class rifles, but would not spend $1,000 or $2,000 to buy a precision-class target air rifle and the special equipment needed in that class of competition. 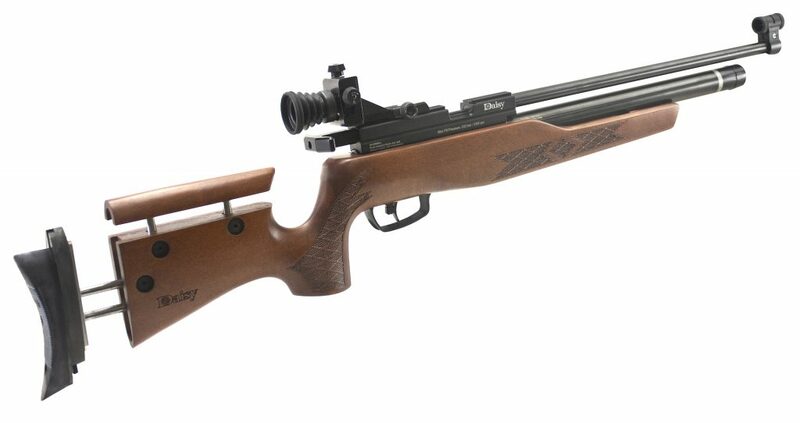 Sporter air rifles, with their low cost, light weight, adjustable length stocks and outstanding accuracy, have proven themselves to be a perfect solution to the need for a target rifle that is suitable for new and developing junior shooters. Sales are restricted to members of CMP affiliated clubs only (must provide membership card or have card on file). Click here to download an order form. 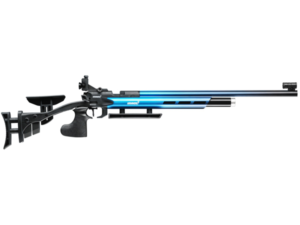 Daisy Outdoor Products announces the release of the new Model 599 10-Meter Competition Air Rifle, a .177 caliber gun that allows competitors to shoot the entire match without having to recharge. Daisy 599 Competition Air Rifle. CMP will notify additional S&H charges for AK and HI residents on each Daisy Rifle ordered. Daisy 887 Gold Medalist CO2 Air Rifle. Includes globe front sight, diopter rear sight, accessory rail, sling with attachment hardware, front aperature inserts & stock adjustment spacers. Includes globe front sight, diopter rear sight, sling with attachment hardware, front aperature inserts and stock adjustment spacers. Used Daisy 853 with seals replaced and Chronographed to meet factory velocity requirements. The used Daisy 853 Sporter Air Rifle is not eligible for the delayed payment program. The CMP is selling reconditioned Daisy 853 Sporter Air Rifles to promote the development of more new junior shooters. This program can be especially important to new junior programs and summer camps that are seeking to acquire target air rifles suitable for marksmanship at an affordable price. For more information, or to find out if your program is eligible to purchase rifles through this promotional program, please contact Tommy Whitten, [email protected] or 419-635-2141 ext. 713.